A new garage door installation in Stamford, or a garage door replacement is something that you should not do more than once every 20 years or more. But to achieve that, you need to invest in high quality garage door, from a known garage door supplier in Stamford. We are often receive calls from customers in Stamford who interested in purchasing a new garage door, and looking for a garage installer in Stamford to perform the installation. But when we receive a call, and we are being asked for the cheapest garage door in the market, we always answer the same way: We do not install the cheapest garage doors in Stamford, and if you want to get the cheapest garage doors, you should contact a different garage supplier in Stamford to perform the installation for you. The reason that we do not supply or install the cheapest garage doors is simple: The cheapest doors are from low quality, and they can break, get stuck or stop working after few years. And since Lifetime Overhead Doors has a reputation of one of the most reliable garage companies in Stamford, we will not put our name on the cheap garage doors. And even more, we will not install them since a professional and high quality garage door include 2 parts, a high quality garage door from a leading manufacture in Stamford, and a professional installer, who has the experience to deal with any kind of garage installation in Stamford. Invest in quality. When you are purchasing a high quality garage door, from a reliable garage door supplier in Stamford CT, you get a garage door that will work perfectly for many years. There are many types of garage doors in Stamford. You can find wooden garage doors, glass garage doors, Aluminum, Steel, commercial overhead doors, residential garages and more. The material the garage door will be made of, the color of the door, or if it will be a motorized garage door or a manual use door, are up to you, and you can choose from a large selection of overhead doors suppliers in Stamford CT , until you will find the garage door you like. But as we explained earlier, do not try and save money at the wrong places. Since there is a reason why a certain door in Stamford can cost double and even triple than another door. Just like there is a reason why certain cars from different makers cost different. Lifetime Overhead Doors offer high quality garage doors and parts, from the kind that going to last for many years, and from the kind that will save you the need to look for a garage door contractor in Stamford each time the garage stop working. Those garage manufactures offer high quality garage doors, which we have successfully installed many times in the past in Stamford and the area. Which garage door do I need if I live in Stamford? The answer to that is simple: You need a high quality garage door. When you invest in quality, you get a garage door that will serve you for many years, and that beside the basic lubrication and maintenance that every garage door in Stamford need, will not require repairs, or using the services of a garage door technician in Stamford Stamford. What type of door should I buy if I live in Stamford? The options in terms of color, design and shape are endless, and we can help you find the perfect garage door for you. We carry wooden garage doors, Aluminum garage doors, Glass section garage doors, Window section garage doors, and more. And also in terms of the color you want for your door, you can choose from a large selections of colors, and find the color that will fit your house in Stamford, since like we said, a garage door installation in Stamford is something that you should do once every 20 years or more. So you better give it a lot of thought, so you will not find yourself stuck with a garage door that you do not like. What should I know when searching for a garage door in Stamford? 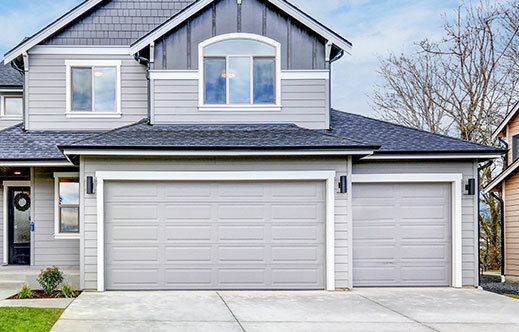 If the door is located at the front of the house, then you probably know already how big is the affect that your garage door can have on the appearance of the house. That is why it is important to choose a door that will match the theme of your house, whether it is in Stamford or someplace else. We will not recommend the same garage door for a private house in Fairfield County Stamford, as we will recommend to a building parking lot garage door in Stamford. If you live in Stamford, and you are wondering if the best choice for you will be to repair the existing door, or to contact a garage door supplier who replace and install garage doors in Stamford to replace the door for you, we can help you. You may be surprised to learn that repairing the garage door in Stamford isn’t always the cheapest option, especially if you are looking at it in a long term. If we leave aside for a moment the people who own a special garage door in Stamford, and that it is important for them to keep the current garage door no matter what the costs are, we will tell you that many times during our garage door services in Stamford, we clearly recommend our customers to completely replace their garage door instead of repairing it. 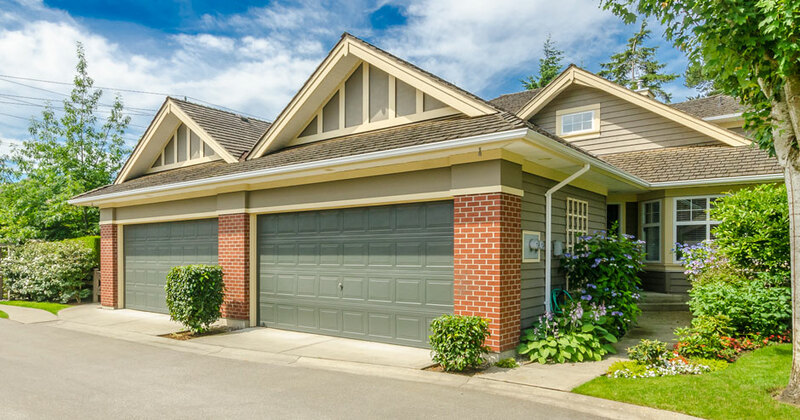 Sometime the repair can cost as much or even more than a whole new garage door, and in that case you may want to consider completely replacing the door instead of repairing it. Once we will examine the door, we will give you all the information you need in order to make a decision whether to repair or to replace and install a new garage door. The best part is, that as one of the leading garage doors companies in Stamford Stamford, we can do both. Whether you garage door in Stamford need to be fixed, or if you need a new garage door installation in Stamford, we can do both. So there is no need for you to start calling different garage doors contractors in Stamford, and wonder if they can repair you garage or you will have to install a new one, we at Lifetime Overhead Doors, can get your garage door working again today, or to install a new overhead door for you. And if you are located in Connecticut, we can do that today. But once we said that, we would like to make it clear that no matter if it is a garage door in Stamford or a garage door in Stamford, we will never repair a garage door, if repairing the door will not guarantee for 100% that the door is safe for use. Once again, a garage door in Stamford, or anywhere else should not be repaired if repairing it mean that the door will not be safe for use. Which garage door is the cheapest in Stamford? As we said before, and we will repeat it again: If you are looking to purchase the cheapest garage door, we will not be able to assist you. We offer high quality new garage doors in Stamford, since our name and our reputation is one of the most important things for us. So if you are looking for a cheap garage door, we will not be able to help you. But if you are looking for high quality new garage installation in Stamford, Lifetime Overhead Doors is here for you. We offer garages from the kinds that last for many years, and that will continue to work and serve you and operate as new even after 20 years. If you previously owned an electric garage in Stamford, or if you are interested in installing a new garage door with a new electric opener, there are few things you should know before contacting a garage installer in Stamford CT.
Not everybody need an electric opener. An electric garage door opener in Stamford is something that you should install only if you need the garage to work remotely and electrically. Not once we instated new overhead doors in Stamford which do not include an electric opener, and will be used manually. And if you are wondering how heavy or difficult it can be to open a garage door in Stamford CT which is operated manually, we would like to tell you that every garage, whether it is in Stamford CT, or an automated garage door in Fairfield County, door which is installed correctly, and which is made from high quality materials, can be opened and closed easily and smoothly even without the electric opener. Since the opener is not what lift the garage door, but it is actually the springs system who is in charge of the opening. Which Brand is the best garage manufacture in Stamford? A quick search online, will open many garage openers and manufactures, who supply new garage openers in Stamford, and you can easily get lost trying to find the best garage opener manufacture in CT to install the garage opener for you. We are here to assist you with important information on your way to a new garage door operator in Stamford, to make it easy for you to make the right decision. As we explained, there are many garage openers manufactures in Stamford. Our favorite brand is Lift Master opener, who offer high quality garage openers, and will be a wise decision when considering purchasing a new garage opener in Stamford. The answer to that question require a basic understanding of the differences between the garage opener types in Stamford. The most common are the chain drive opener, and the belt drive opener. 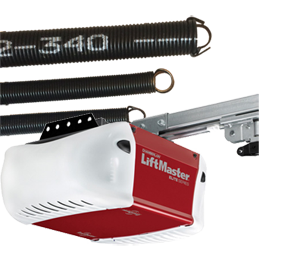 We have supply and installed many of those garage openers in Stamford, and we recommend the openers made by Lift Master. The difference between the 2 types is in the sound the make while working, and their price. The chain opener in Stamford is cheaper but noisier than the Belt opener. If the noise level of the garage matter to you, you should consider purchasing the Belt opener, although it will cost you more. If the noise level doesn’t matter to you, since many of the garage in Stamford are detached from the house, than the chain opener, which is a strong and reliable opener (The lift Master ones) and will serve you in a great way for many years. If you would like to read more, check our article about garage doors opener in Stamford, or the article written by Connecticut Garage Doors And Gates about garage openers types. 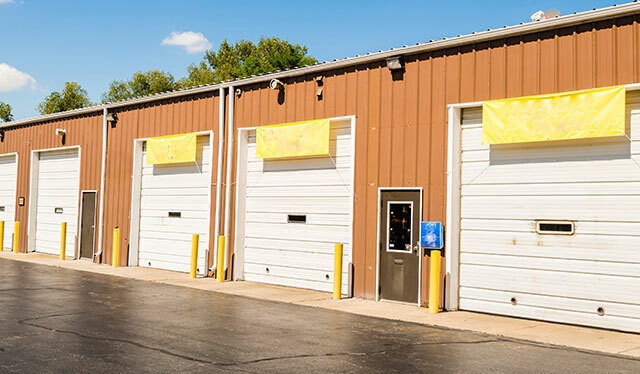 If you are planning to purchase and install a new industrial or commercial overhead garage door in Stamford, we have a tip for you, which can save you a lot of money. And the tip will be: Invest in quality! If we could show you how many commercial overhead doors in Stamford were installed by people who tried to save money, and ended spending 3 times the amount of the money they tried to save, you would be amazed. A commercial overhead door in Stamford can be operated more than 50 times a day, and even more during the cold winter days in Connecticut. So if you think about it, you are about to use your industrial garage door for more than 15,000 times a year! And if you will not purchase a high quality door, or if you will not use the installation services of a professional garage installer in Stamford CT, you will find yourself looking of garage door repairs in Stamford every other month. So save yourself the time and the money you are about to lose, by purchasing a high quality garage door, from a reliable garage door supplier in Stamford.